Arrow necklace comprised of an antiqued silver tone arrow, wrapped with ruby red wire, hanging from a stainless steel ball chain. Click on the link below to see what other colors I have in stock! Choose length at checkout: 22". 24". 26". 28". 30". Item shipped in a timely fashion. 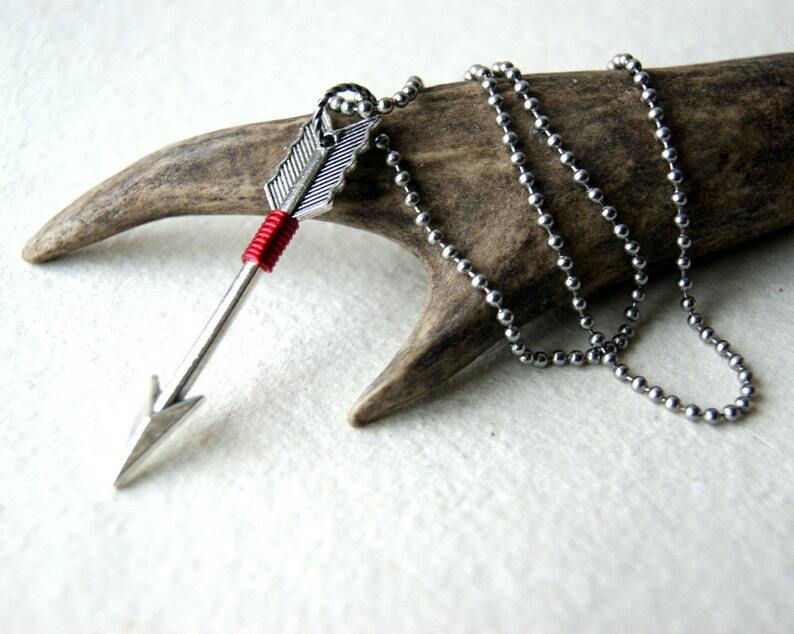 Love the contrast of the silver arrow with the red wire. Item was exactly as it appeared on the website. Very pleased with this purchase.